Now that the year's over, it’s time to look ahead into 2016. There are already several exciting releases announced for the new year, so here’s your preview of what’s coming out in the next couple of months. David Bowie’s upcoming 25th album will be released on the venerable artist’s 69th birthday. It’s a seven-song release featuring a few extended tracks, like the nearly 10-minute electro-orchestral opus that is the title track, which also is being used as the opening song for the TV series “The Last Panthers.” So far, we’ve also heard “Lazarus” and “Sue (Or in a Season of Crime),” all of which are fueling anticipation for this being one of the best albums of Bowie’s later career. Mick Rock’s massive tome of a photo book on David Bowie is now for sale at Amoeba Music. The tall,16-pound book features a hologram cover and more than 300 pages of photographs. 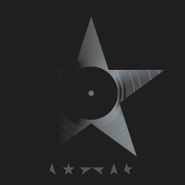 It's limited to only 1,972 copies, signed by Rock and Bowie. Look for the book in the display case next to the counters at Amoeba Hollywood! Rock famously shot many musicians during the 1970s, from Lou Reed to Queen and Blondie’s Debbie Harry. Between 1972 and 1973, Rock was Bowie’s official photographer, while Bowie was taking the world by storm with his celebrated album Hunky Dory and his emerging Ziggy Stardust persona. The book includes pictures for press and album jackets along with intimate backstage photos, around 50 percent of which are said to be unseen by the public. The book sale coincides with the exhibition “Mick Rock: Shooting for Stardust. The Rise of David Bowie & Co.” at TASCHEN Gallery, which is located at 8070 Beverly Boulevard in Los Angeles. The exhibit runs through Oct. 30. Read an interview with Rock about his time photographing Bowie via Rolling Stone. See a couple of photos from the book below. Shop more collectible books from Amoeba here. In 1857, Frenchman Édouard-Léon Scott de Martinville patented his invention for recording sound, the phonautograph. Twenty years later, in 1877, someone first realized that his phonautograms could also play back recorded music. It was the same year, coincidentally, that Thomas Edison patented the phonograph and thus the age of recorded music began. In 2015, former Amoebite Matthew Messbarger posted an NME "Best of 1990" on my Facebook timeline and I decided to began reviewing the best songs of each year, from 1877 to the present, in random order. Four seminal artists are getting the reissue treatment this week. The works of David Bowie, Queen, Captain Beefheart, and Bob Marley are back and better than ever, with remastered albums, 180 gram vinyl, and some very fancy box sets. Completists and collectors, take note of these soon-to-be essentials, available at Amoeba. With Five Years 1969 – 1973, Parlophone rolls out the first in a series of career-spanning Bowie retrospective box sets. The first installment is a ten-album, twelve-disc (or thirteen-LP) collection featuring remastered versions of David Bowie (aka Space Oddity), The Man Who Sold The World, Hunky Dory, and Pin Ups, reissues of Aladdin Sane and The Rise And Fall Of Ziggy Stardust And The Spiders From Mars, and the first-ever pressing of the 2003 mix of Ziggy Stardust which had previously been available only on DVD. The box set also includes two live albums, plus Re:Call 1, a new comp featuring singles, non-album cuts and b-sides. There have been lots of vinyl reissues out lately, to mark anniversaries or to feature newly remastered audio on heavyweight vinyl. Here are the reissue highlights for July 24, 2015. A classic of downtempo electronica, the success of Moon Safari essentially launched the French duo’s musical career. Their debut LP has just been remastered on 180 gram vinyl, following last month's reissue of their four other studio albums and the 40th anniversary of The Virgin Suicides soundtrack. Please note, this item is delayed.